This thousand year long celebration of the Dubrovnik patron Saint Blaise is one of seven phenomena of Croatian cultural heritage recently put on the UNESCO World Non-Material Cultural Heritage List. 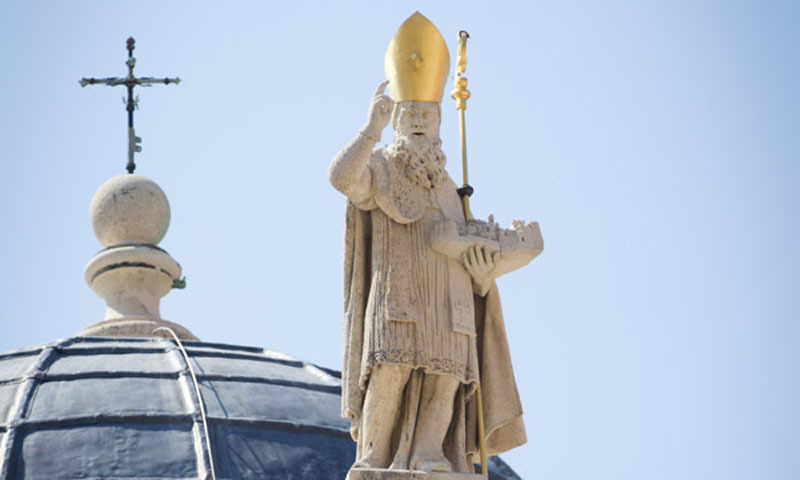 As per legend, thanked to apparition and warning of St. Blaise during the pray of dum Stojko in Cathedral of St. Stephan, Dubrovnik was defended from Venetians who wanted to conquer the city. In a gratitude to that event, Saint Blaise was proclaimed the patron of the city. The feast of St. Blaise is celebrated every year on February third while the feast itself lasts for several days, starting from the holidays (Candlemas), when the feast is officially opening, till the closing of the celebration, which falls on the first Sunday following. Arrival at Dubrovnik airport. Transfer to chosen hotel. Time at leisure - in the time of the festival a series of church and secular concerts, exhibitions, book presentations and theatre guest performances are dedicated to the patron saint of Dubrovnik, whose statues look at us from the city walls and gates and whose caring hand guards Dubrovnik on his palm. Dinner and overnight at the hotel. Breakfast at the hotel. Sightseeing of Dubrovnik. Thanks to its unique political and cultural history (the Dubrovnik Republic, the Statute from 1272), cultural heritage and beauty (inscribed on the List of World Heritage Sites by UNESCO), Dubrovnik is one of the most famous and most attractive city in the Mediterranean. Enter the city through Pile Gate where statue of city′s patron St. Blaise will welcome you. 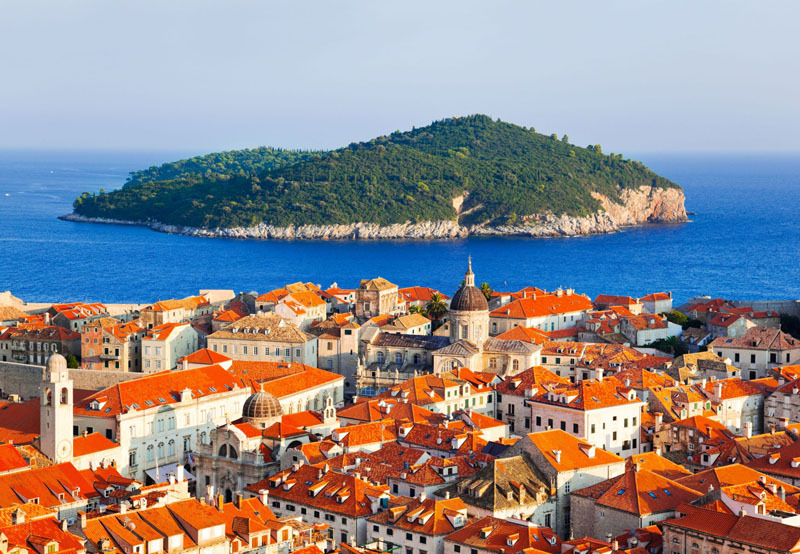 You will visit main highlights of town Dubrovnik, walk on Stradun – the most famous promenade, pass next to Franciscan monastery with beautiful garden and the oldest pharmacy. The last stop on our sightseeing is Dubrovnik house, located inside St. Dominic tower, dating from 14th century. While you are walking around it and enjoying in gallery of pictures take a bit of traditional sweets as “arancin” or “limuncine”( sugared and sun-dried orange/lemon peel) and fried almonds. For memories on taste of Mediterranean take with you virgin olive oil, wines from this area (Plavac, Dingač, Postup) home made brandy and liqueurs made of Mediterranean herbs and fruits. After lunch which will include traditional dish for this time of year (macaroni with meat sauce and the special hrostule donuts), be part of feast opening. 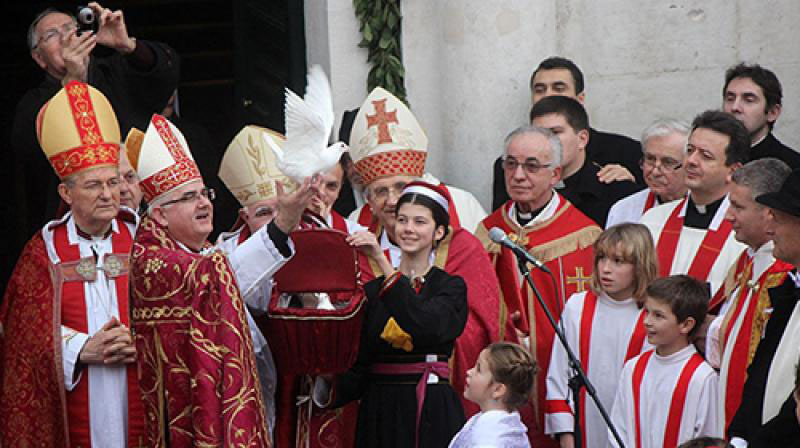 The celebration begins with the release of white doves in front of the Church of St. Blaise and the raising of St Blaise's flag on Orlando’s column. Overnight at the hotel. Breakfast at the hotel. 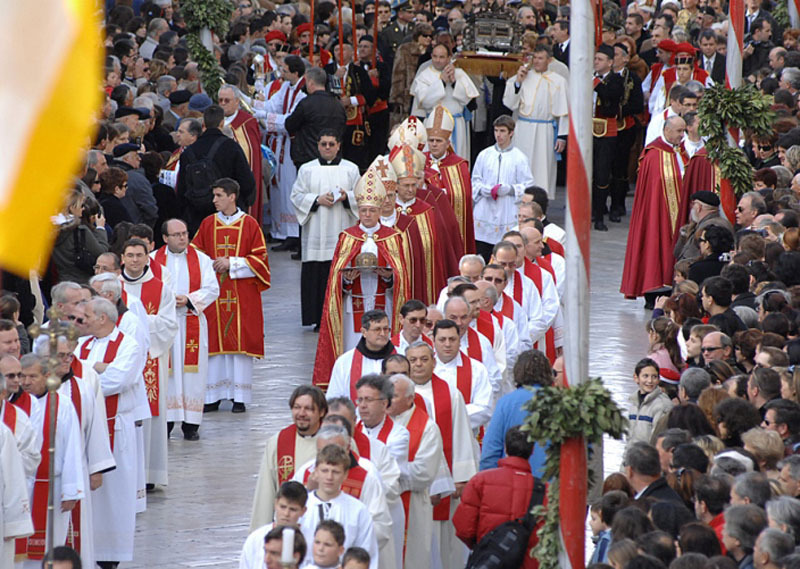 The traditional religious celebration of the feast includes the Eucharistic Mass, and afterward a procession on Stradun, including priests and churchgoer bearing reliquaries of the saint and banner. During the mass the very popular ceremony is „Grlicanje“ - priest blesses the believers using two intertwined candles. Spend a morning on Stradun with local citizens whose ancestors were from 972 year in the same way celebrating Saint Blaise. Time at leisure till departure time to beautiful town Cavtat. Cavtat was originally a Greek settlement called Epidauros. Around 228 BC it became a Roman colony. Enjoy the walk in this town of beautiful palaces and luxuriant vegetation. Visit of the mausoleum of the Račić family (the work of Ivan Meštrović, one of Croatia's greatest sculptors), the home and gallery of the great Croatian painter Vlaho Bukovac, the Franciscan monastery and Church of St. Blaise (Vlaho) from the 15th century, the collection of the scientist and attorney Baltazar Bogišić, and the Baroque parish Church of St. Nicholas. Dinner at local restaurant. Overnight at the hotel. Breakfast at the hotel. Transfer to airport for flight back home. And be blessed by Saint Blaise!